Doctors and legislators in the United Kingdom are appalled by US President Donald Trump’s off-handed comments on knife crime in London, taking to Twitter to express their anger. 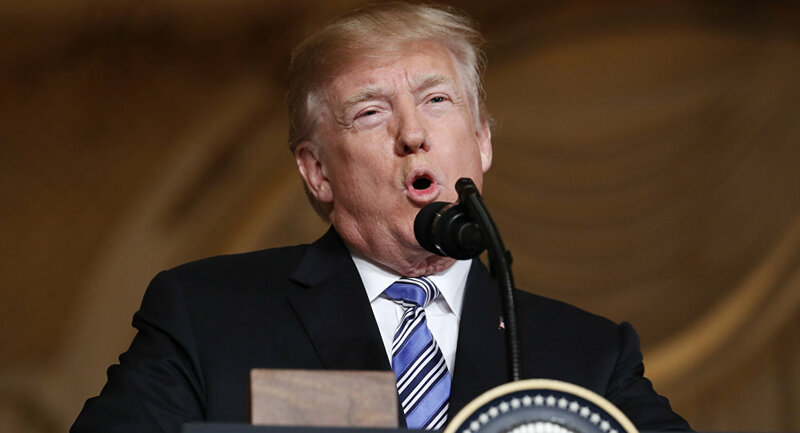 Reacting to Trump's pro-gun remarks at a National Rifle Association (NRA) convention in Dallas, Texas, on Friday that included a reference to a London hospital as a "war zone" due to an earlier knife attack in the city, doctors in the UK capital took to social media to explain that knife crime in London is in no way related to the lack of gun controls in the US. Some twitter users, however, noted that it was Griffiths who first compared the situation at the Royal London Hospital to Camp Bastion in Afghanistan, during an interview with the BBC. He was quoting almost word for word.. London trauma surgeon Dr Martin Griffiths, who works at the Royal London Hospital, told BBC Radio 4 a month ago that his hospital was like an Afghan ware zone. — Clive Sinclair 🇬🇧 (@clivesinclair) 5 мая 2018 г. ​Dr. Karim Brohi, another Royal London surgeon, said that while it is true that there is knife violence in London which must be addressed "urgently and at all levels," no potential solution involves the use of guns. "There is more we can all do to combat this violence, but to suggest guns are part of the solution is ridiculous," Brohi noted in a statement. "Gunshot wounds are at least twice as lethal as knife injuries and more difficult to repair." Trump Grilled on Twitter for Calling UK Hospital "War Zone for Stabbing Wounds"
He added that "the Royal London Hospital has cut the number of our young patients returning after further knife attacks from 45% to 1%". In a speech at a gathering of gun supporters sponsored by the NRA, Trump claimed that although the UK had tough gun laws, one London hospital was awash with blood due to knife injuries. "They don't have guns. They have knives and instead there's blood all over the floors of this hospital," Trump raved. "They say it's as bad as a military war zone hospital […] knives, knives, knives." Labour Party lawmaker Sarah Jones tweeted that Trump's speech was a disgrace, saying that UK knife crime was "nowhere near your off-the-scale gun deaths." Trump's absurd comments came ahead of his planned first presidential visit to the country on July 13.